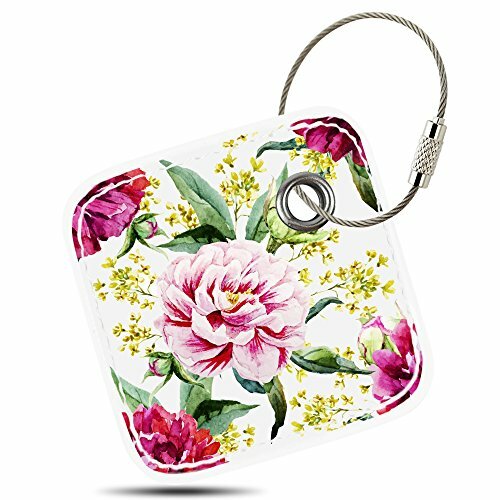 Case for Tile Mate/Tile Sport/Tile Style - Key Finder, Phone Finder, Anything Finder, Tile Mate Accessories, Lether Case Cover for Tile Mate with Anti-lost Design, Peony, By Logity. Specially Designed for Tile Mate/ Tile Mate with Replaceable Battery/ Tile Pro with Replaceable Battery/ Tile Sport/ Tile Style Finder, Perfect fit Your Tile Bluetooth Tracker. 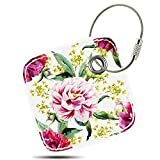 Beautiful & Durable & Lightweight, Variety of Patterns and Colors, Even If You need to replace your Tile Bluetooth Tracker, the Case is still as new. Fully Protect the Tile Tracker away from Scratch and Dirty, Dust. Suitable for hanging on pets / suitcases / bags and other valuables. Never Volume lost when your Tile rings, It can maintain the original volume of Tile Mate/ Tile Sport/ Tile Style.